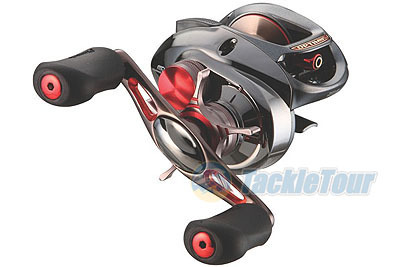 Introduction: This ICAST Pinnacle will be introducing new "Tournament Class" reels that are designed for anglers looking for baitcasters and spinning reels that exhibit both superior build quality and a rich overall feature-set. Leveraging the expertise of their pro-staff these reels are designed to be the highest end reels that Pinnacle has introduced to date. 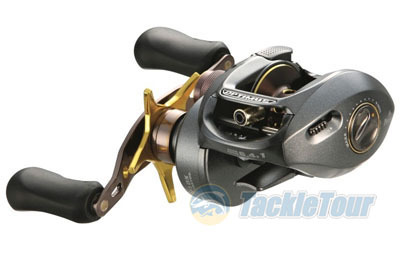 Optimus XLT: Pinnacle's new top of the line reel will be the Optimus XLT, this sleek looking reel boasts ten double-shielded stainless steel bearings, Tandem Cast Control (a combination of centrifugal and magnetic anti-backlash systems), and a blazing fast 7.3:1 retrieve. Like all of Tournament Class reels, the Optimus�XLT features an all-metal construction and Pinnacle�s exclusive X-Bone� pattern frame. Similar to the design of a car chassis, the X-Bone� pattern frame equally distributes the amount of critical stress points. This design helps compensate for the entire weight load, while also maximizing the rigidity and tensile strength of the entire framework of the reel. Aluminum metal alloy frame and side covers also reduce torque, keeping the gears and components in alignment under heavy loads. The Optimus XLT also features metal side covers with a titanium deposition finish like we have seen on previous higher end Quantum and import Abu Garcia Revo reels. More than just an aesthetic touch, this treatment (also standard on the Optimus� XT and Performa� XLT, XT models) is highly resistant against nicks and scratches. 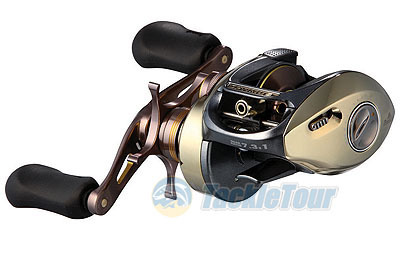 For reduced weight and increased strength, all of Pinnacle�s Optimus model baitcasters feature drive gears, drive shafts and worm gears composed of Duralumin a super alloy that�s 70 percent lighter and 20 percent stronger than brass. The long list of Optimus reel features also includes the industry�s first QuickFlip� Button for flipping and pitching applications. Ergonomically designed and strategically positioned for ease-of-use, this button will allow anglers to engage the gears instantly without turning the handle for lightning-fast hooksets. 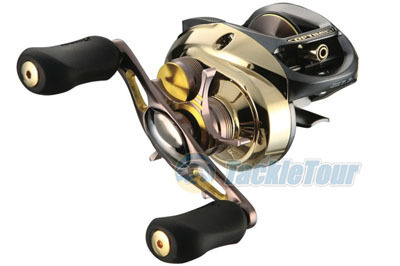 The Optimus XLT will retail for $199.99 and the difference between the Optimus XLT and XT models are the finishes and gear ratios while the Optimus X also has a lower bearing count.